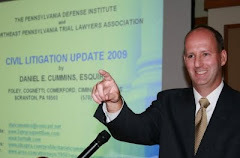 The Northeast Pennsylvania Trial Lawyers Association and the Pennsylvania Defense Institute are working together to present a CLE program currently set to take place during the afternoon of Thursday, August 27, 2009 at the Mohegan Sun Casino in Wilkes-Barre/Scranton, Pennsylvania. It is hoped that members of both the plaintiff's bar and the defense bar, along with area insurance claims representatives and professionals, will be in large attendance. Topics and presenters are currently being finalized and will likely include an ethics hour, an auto law update, tips on jury selection, info on the new Medicare Set-Asides law, and a civil litigation (non-auto) update. I plan to present the civil litigation update. 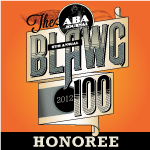 This program will be followed by a cocktail happy hour reception to which judges from all around Northeastern Pennsylvania have been invited to attend. Of course, once all is said and done, there are many nice restaurants to have a dinner followed by some gambling if you so desire. More information to follow as it comes out.